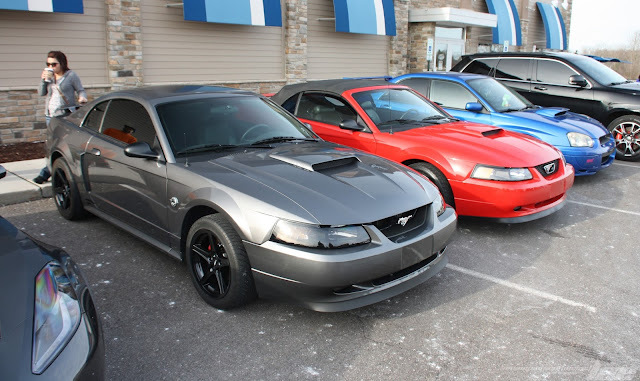 We set part 2 of the GLA C&C Coverage with a pair of "New-Edge" Mustangs. 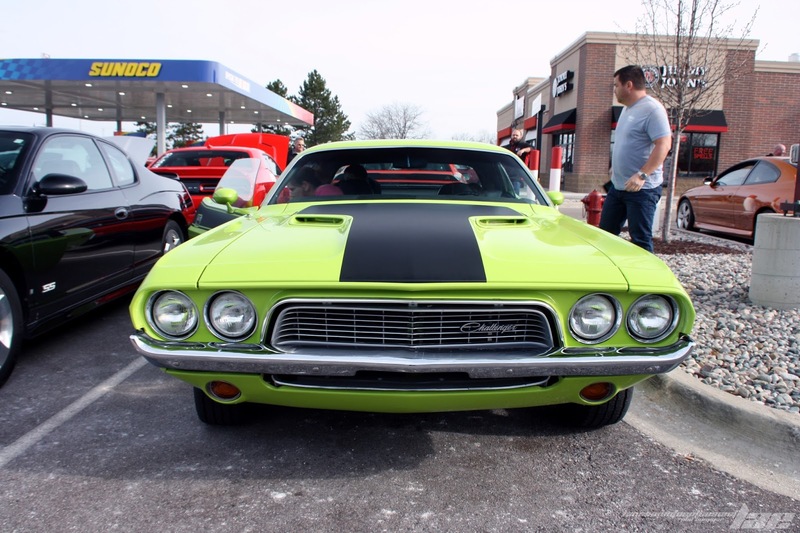 Mustangs, in general, were well-represented, with examples from nearly every generation present. 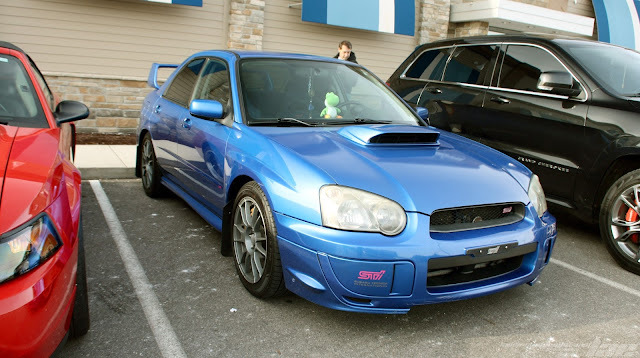 This 2004 "Blob-Eye" WRX STi was a nice car to see, even though Subaru's turbo models are an extremely common sight at my local car events. 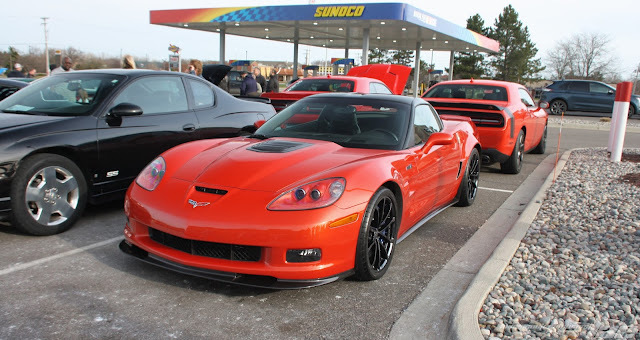 This Corvette C6 ZR1 was nice to see. 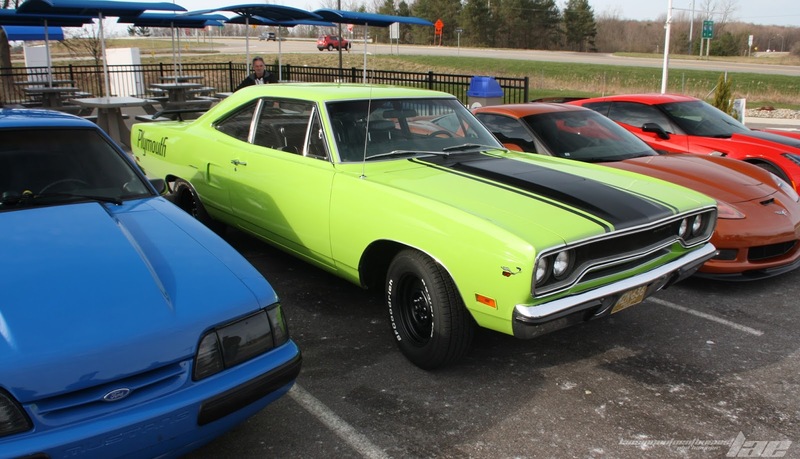 This isn't exactly the most common color. Usually, if you see a ZR1, it's a blue or black example. 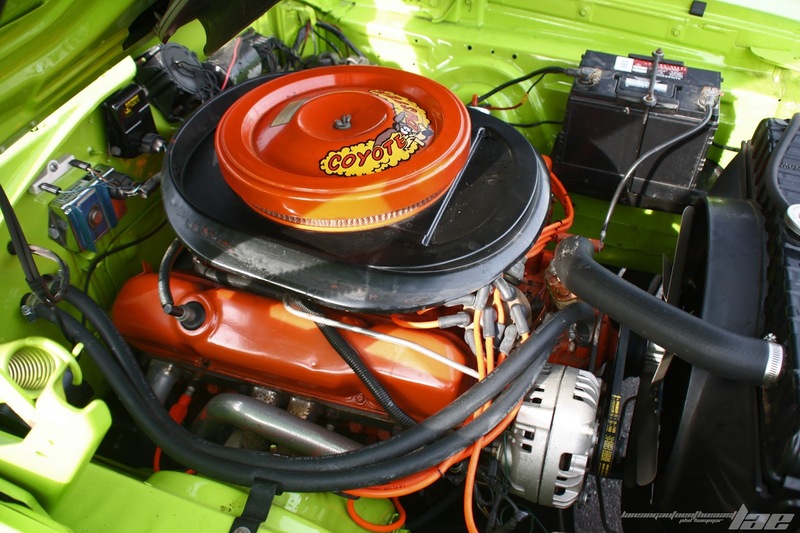 This reddish-orange color was quite loud, much like the Exhaust. 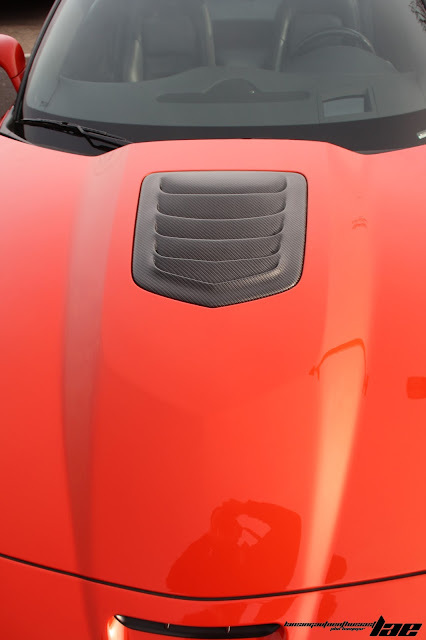 The owner, uphappy with the ZR1's factory (as well as pointless, and rather ugly) hood window, replaced it with a Fiberglass vent panel, hydro-dipped to resemble Carbon Fiber. 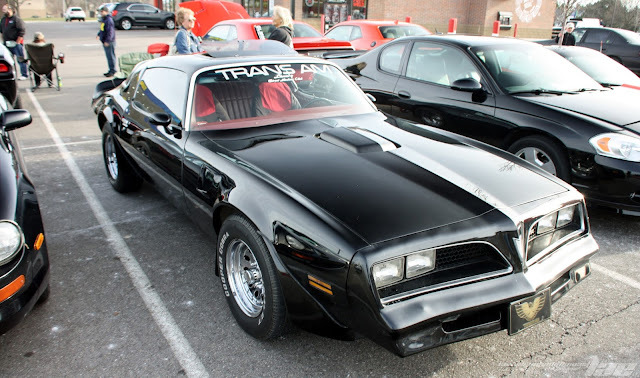 This Second-Generation Pontiac Firebird Trans Am might look familiar. 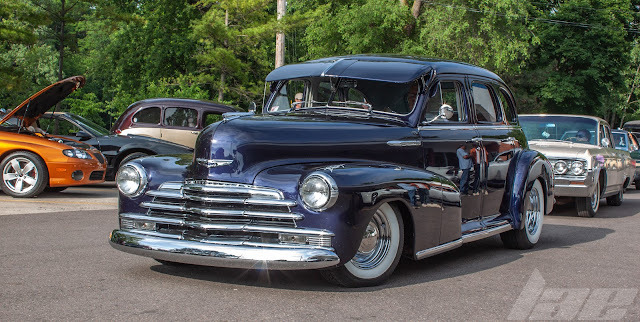 It's a regular at the Olympic Broil tuesday night cruise-in. 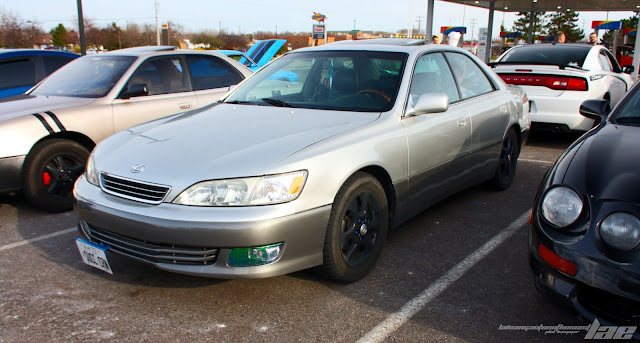 This Lexus ES, owned by Youtuber Poppa_Heavy, has become a regular at local events. 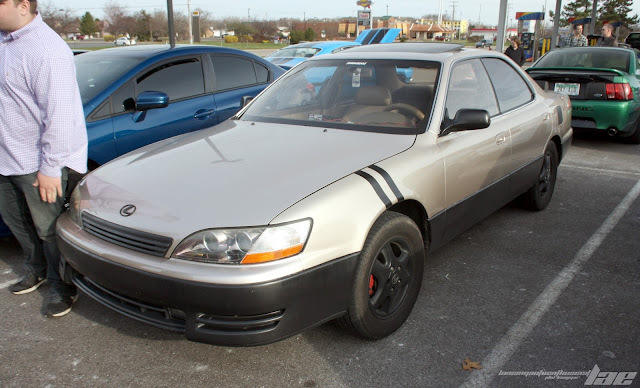 Another ES was parked beside it. 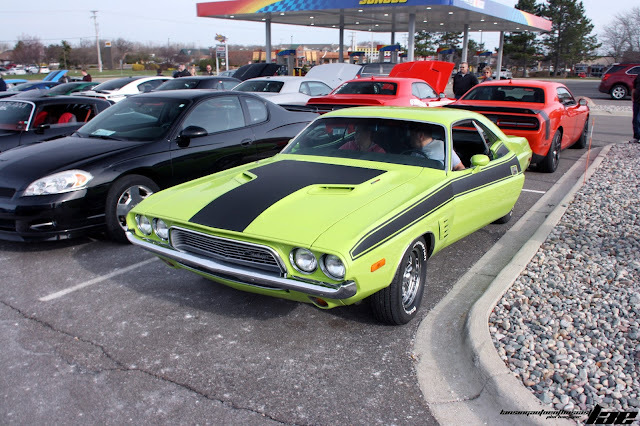 The Dodge Challenger seems to be becoming more common, as there were 4 of the newer versions and one classic Challenger among the attendees. 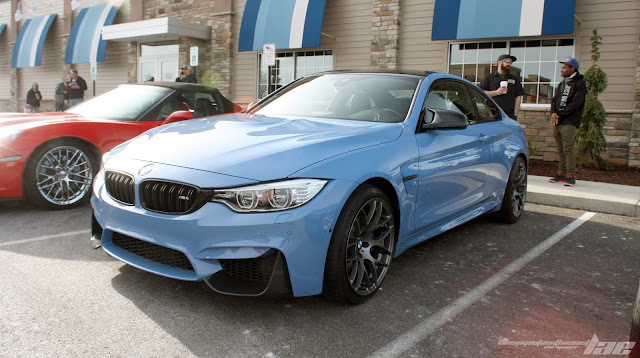 I love these BMW M4 coupes. The lines of the car just feel more aggressive than previous M models. As mentioned above, there was a classic Dodge Challenger present.This early-1970's example had a 383 Magnum engine under the hood. If I remember correctly, this color is called "Sassy Grass Green"
This early-1970's Plynouth Roadrunner, like the Challenger, was finished in Sassy Grass Green. Under the hood, the same 383 Magnum engine. 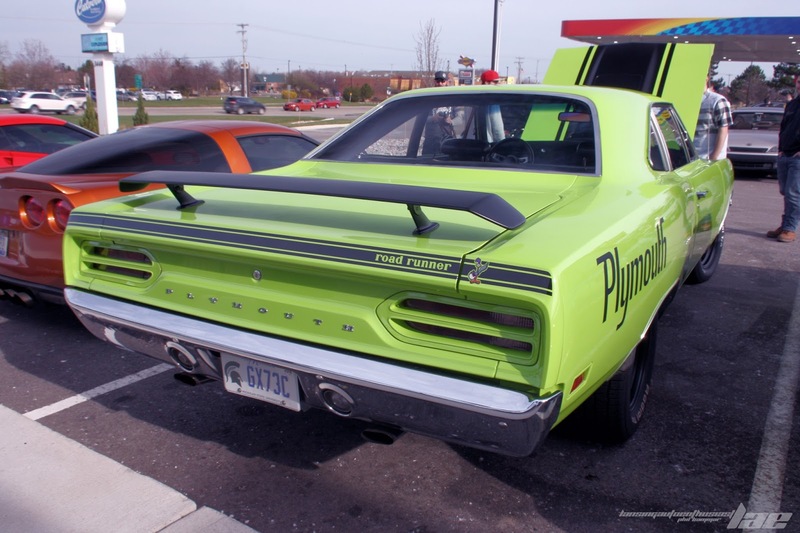 The car was so long and wide, the rear spoiler looks comically small. 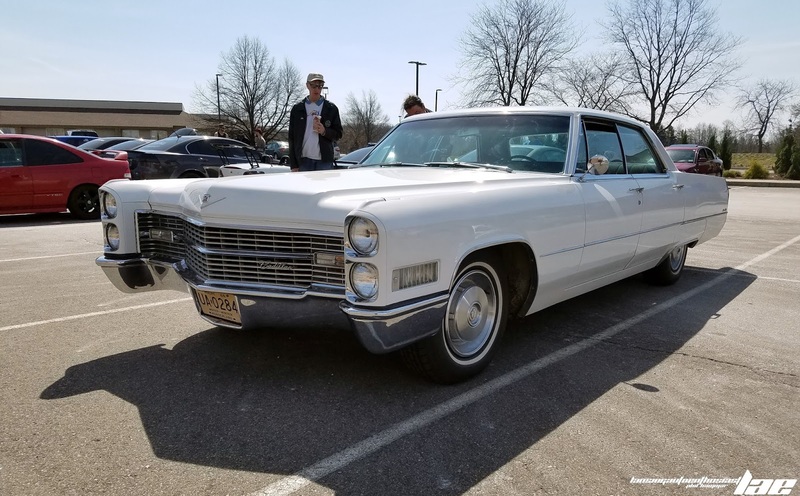 This mid-70's Cadillac Sedan DeVille was an impressive car. Nearly 18.5 feet long, it didn't even fit in the parking spot. 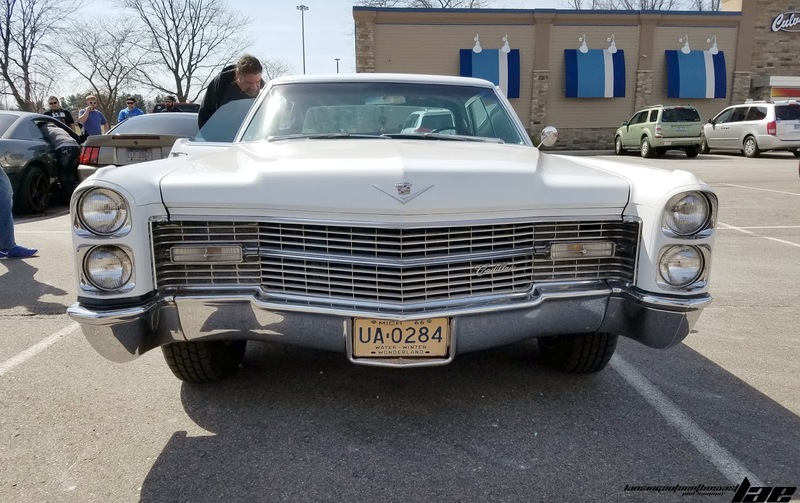 The wide grille, and stacked headlights give this car it's Iconic Vintage Cadillac look. 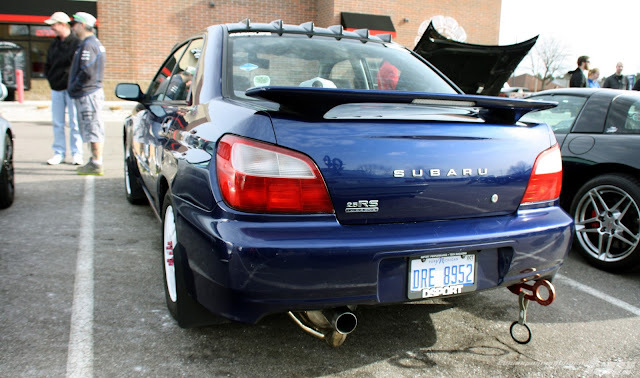 Another Impreza, this time, a Bugeye 2.5RS. It's owner is a regular to the meets, though his usual car, a white Outback, wasn't present this time. 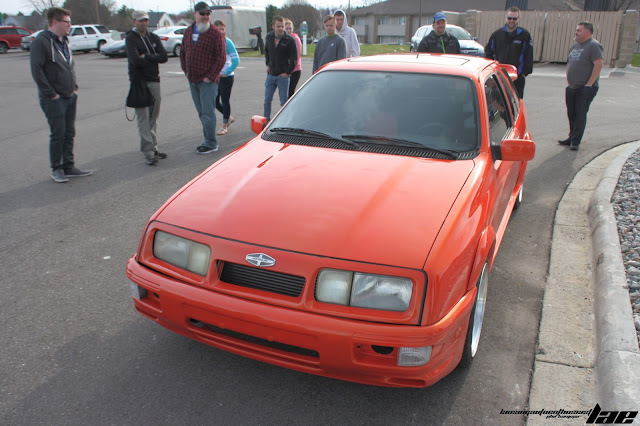 This Merkur XR4Ti, a sort of American-ish badge-engineered Ford Sierra Cosworth (without the Cosworth engine or 4WD) was present. 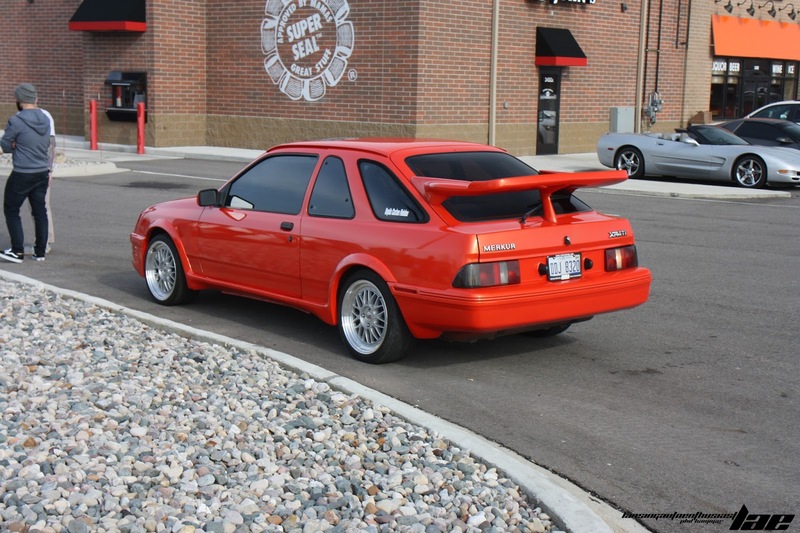 It's rare to see a Merkur. 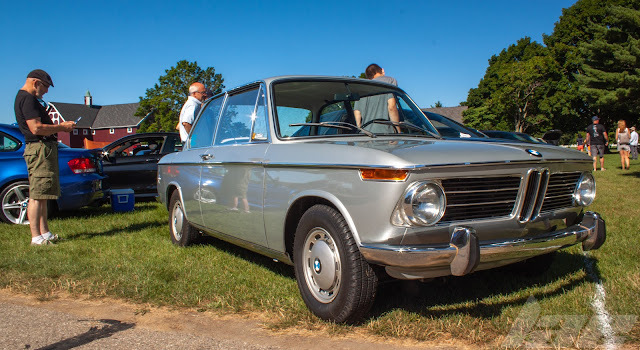 Especially one in as good shape as this. I'll wrap up part 2 with this super low Volkswagon Corrado, which you may recognize from my 2016 NOWO coverage. Like always, remember to +1 and share this post. check back often for more content!